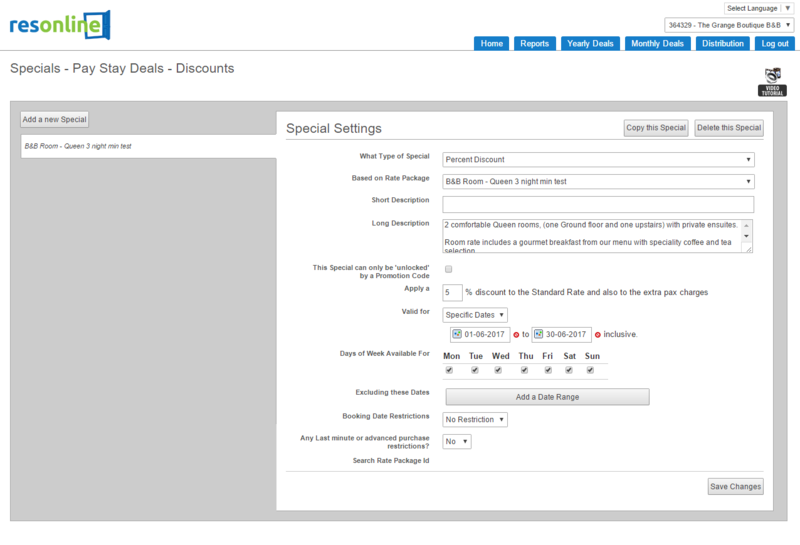 The best way is the following - Setup a bulk update of 10% off in June (on the three night min plan) and then a Special of additional 5% for your Website booking Button. Save Changes and do the same for the other room types. 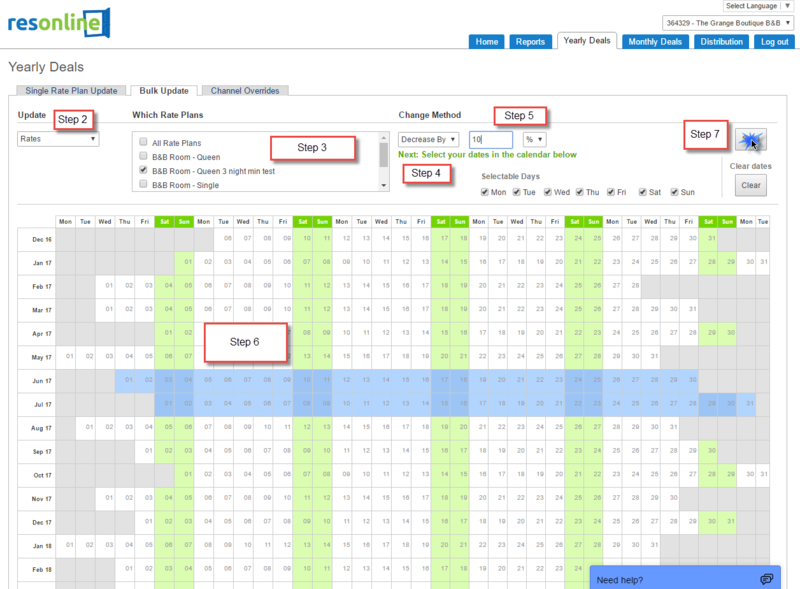 You new 3 night rate plan should be on the left hand side ready to map. 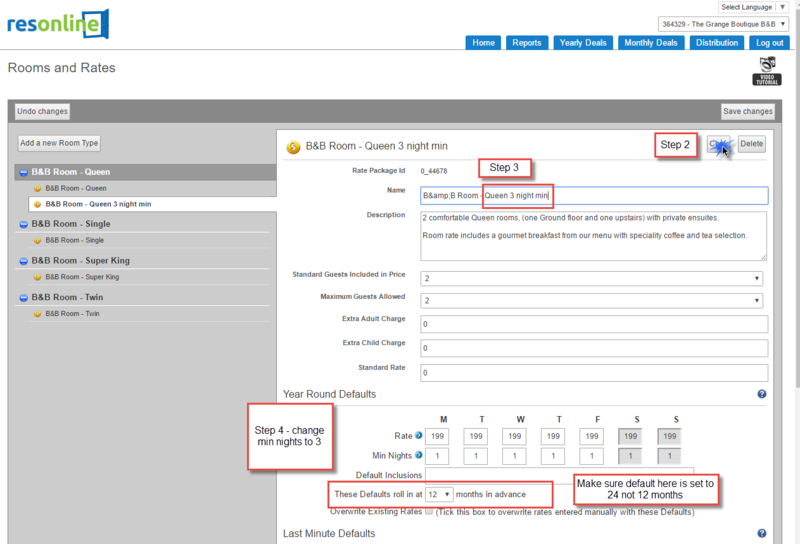 Select the correct rate plan in the drop down boxes on the Right hand side and save changes. You now have more flexibility for the full 720 days. I realise this is quite a bit of setup work but once done you will have much more flexibility to be able to do this and more again. Please let me know if you require further assistance.